Born from the ashes of past disappointments, Breach The Void (formerly known as Etna), created by drummer Alex Anxionna (former Sybreed) began in early 2007 in Geneva, Switzerland. Alex worked in order to combine aggression and sensitivity, melodies and harmonies, but also complex rhythms thus creating a futurustic electronica soundscape involving metal in a new age. With his experience in Sybreed, in studio but also on many tours, which accompanied among other groups like Fear Factory, Mnemic and Ill Niño, Alex, eager to follow his own path in music was quickly surrounded by first musicians to record a demo three titles called "Retribution Engine". The reactions were immediate, since many chronics emerged after this first effort. To crown its beginnings, Breach The Void has had the daunting privilege to be in RockHard's ''demo of the month'' sampler, prompting Breach The Void to be a value more than evident in the French-speaking countries. After a few line-up changes, Alex has finally found the rare gems that responded fully to the levels of requirement. Firstly with bassist Fabian Ferraglia (ex-Last Warning), they started recruiting the right musicians born of the same musical vision: an abstract and post-apocalyptic future. 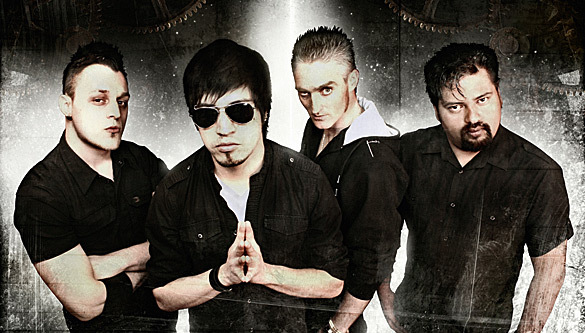 The band was complemented by the involvement of singer Marko Romero (ex-Nevent), mixing tortured screams and emotional clean vocals. Frederic De Cecco has also joined the group, bringing his killer touch into Breach The Void's compositions... Breach The Void has been shown an incredible motivation and amazing ambition. The result of these alliances exploded late 2008 where the group has invested the Taurus Studio to record their first album. 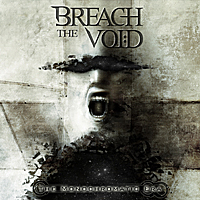 After several months of hard work, Breach The Void finally was able to return to the mixing process in early May 2009, with Claude Lander and Ben Rudio. The mastering was then assigned to the prestigious Tue Madsen (Mnemic, The Haunted, Sick of it All) who has put the finishing touches to this sonic bomb: ten songs tinged with finesse, aggression with catchy choruses carried by a production seamless worldwide.